Objective: We have reviewed the potential cancer-preventive and other relevant properties of Panax ginseng C. A. Meyer, which has been traditionally used as a natural tonic in Oriental countries. Data identification and study selection: Publications on Panax ginseng and its relation to cancer were obtained from the Medline database (1983–1998) and by checking reference lists to find earlier reports. The reports cover experimental models and human studies on cancer-preventive activity, carcinogenicity and other beneficial or adverse effects. In addition, possible mechanisms of chemoprevention by ginseng were considered. 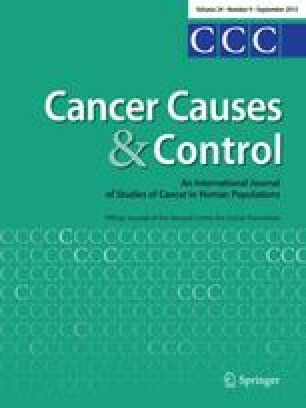 Results: Published results from a cohort and two case–control studies in Korea suggest that the intake of ginseng may reduce the risk of several types of cancer. When ginseng was tested in animal models, a reduction in cancer incidence and multiplicity at various sites was noted. Panax ginseng and its chemical constituents have been tested for their inhibiting effect on putative carcinogenesis mechanisms (e.g., cell proliferation and apoptosis, immunosurveillance, angiogenesis); in most experiments inhibitory effects were found.